Mary Mitchell designs and provides K–8 professional development for district-level administrators, school-based math leadership teams and teachers across the country. Her main priority is the students and teachers that she serves. 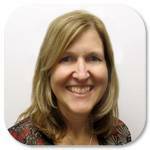 Mary strongly believes in customizable and research-based solutions for school districts. She is a National Board Certified Teacher and taught in the elementary classroom for over eight years. Mary was the District Elementary Math Specialist and a Math Coach for the Forest Hills School District in Cincinnati, Ohio for four years. In these roles, she planned and implemented professional development across the district in order to deepen teacher content knowledge and support effective instructional practices. Mary holds a Bachelor of Arts in Elementary Education from Northern Kentucky University and a Master of Teaching from Marygrove College.